Our campsite from the trail at Davis Mtn SP. 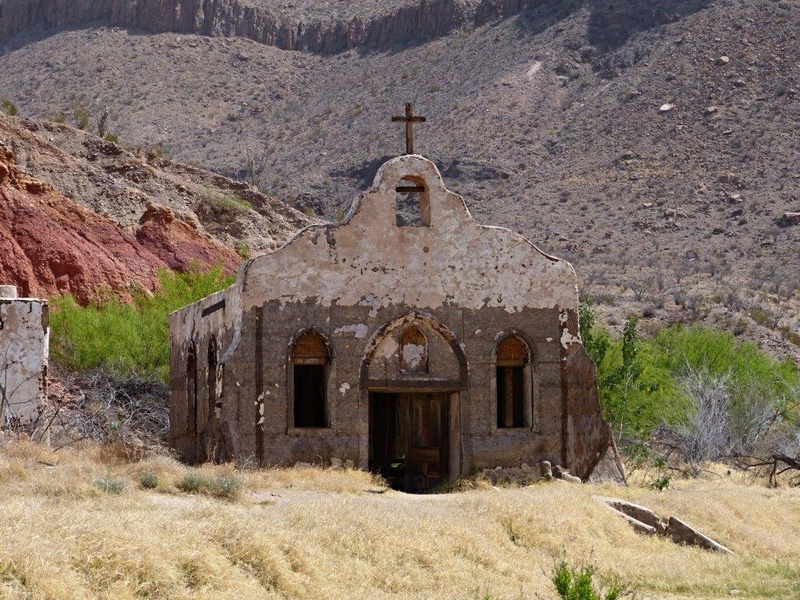 We left Big a Bend National Park and drove scenic route 170 along the Rio Grande and through the Big Bend Ranch State Park. It was steep, scenic and had a 15 % grade in some areas! But was well worth the trip! 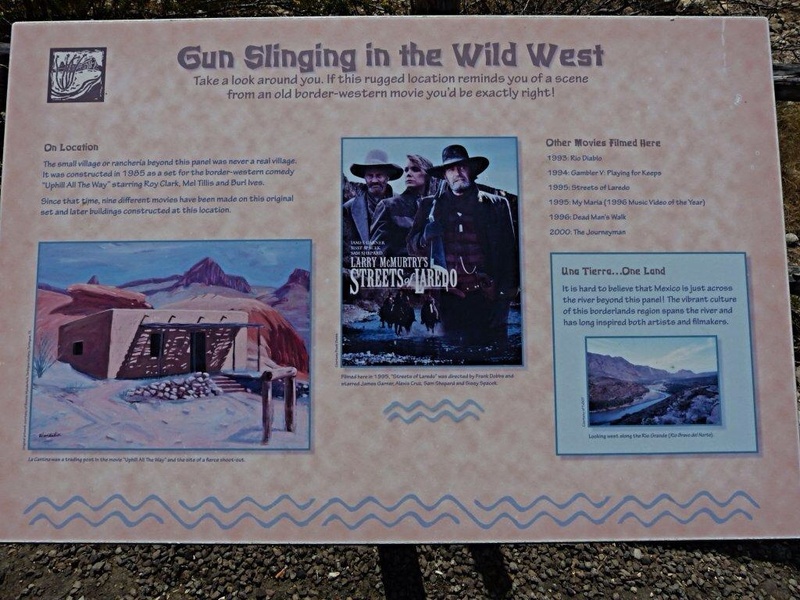 We stopped at a movie set used for several westerns, and took some pictures. 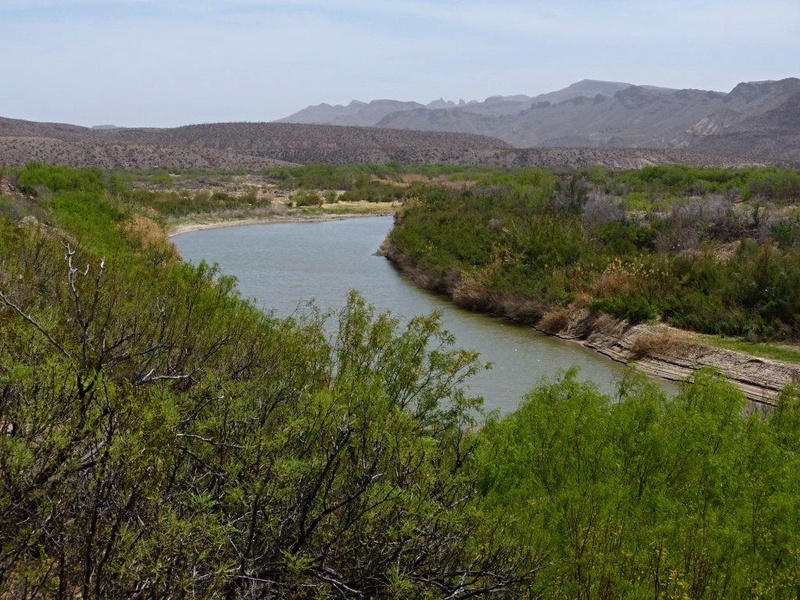 After that, we stopped for a picnic lunch aside the Rio Grande. Very pretty! Rio Grande at lunch time. We ended our day at Davis Mountain State Park near Fort Davis, Texas, one of the best state parks we have stayed at ever! 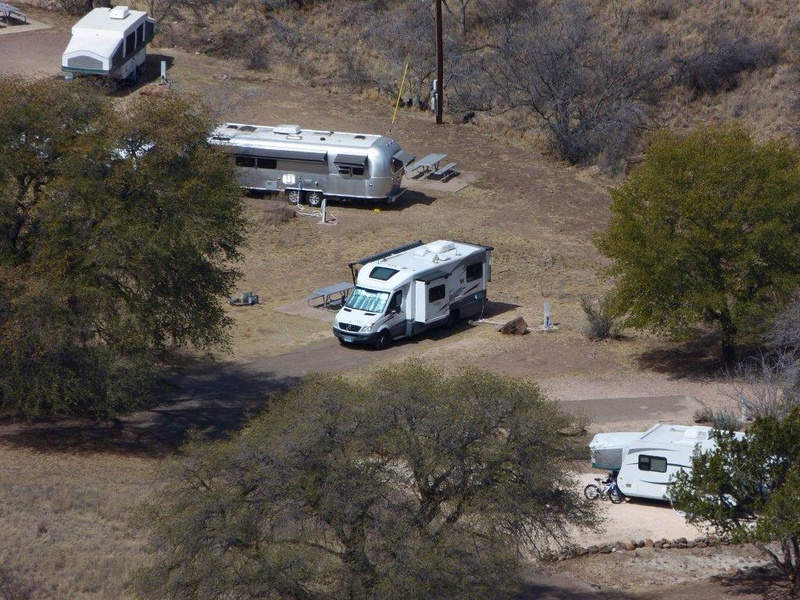 It has it all: scenic mountains, nice campsites, helpful park rangers, and lots of wildlife. All for $20 per night. It is also only 16 miles away from the McDonald Observatory, which holds star parties on Friday and Saturday nights. The rangers have set up wildlife viewing blinds, and feed the birds each day at 9:30 am. We took advantage of the blinds and saw some neat birds, then we attended an owl talk and completed a 4 mile hike up to the top of the mountain. All in all, it was a great day and I was sorry to pack up and leave. Everyone in Texas had been so friendly and helpful, it has truly been a pleasure to visit! 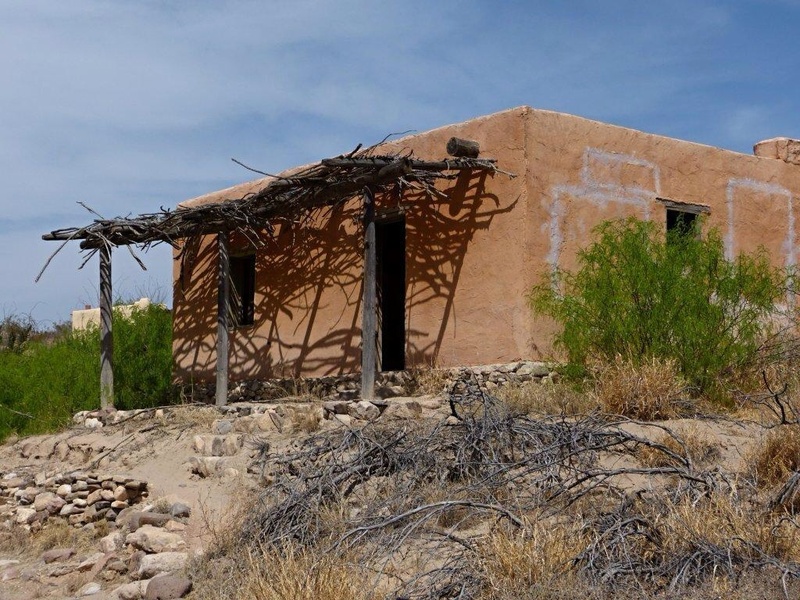 This entry was posted in camping, Texas on March 24, 2014 by Ramblin' Rose. This was a fantastic post. 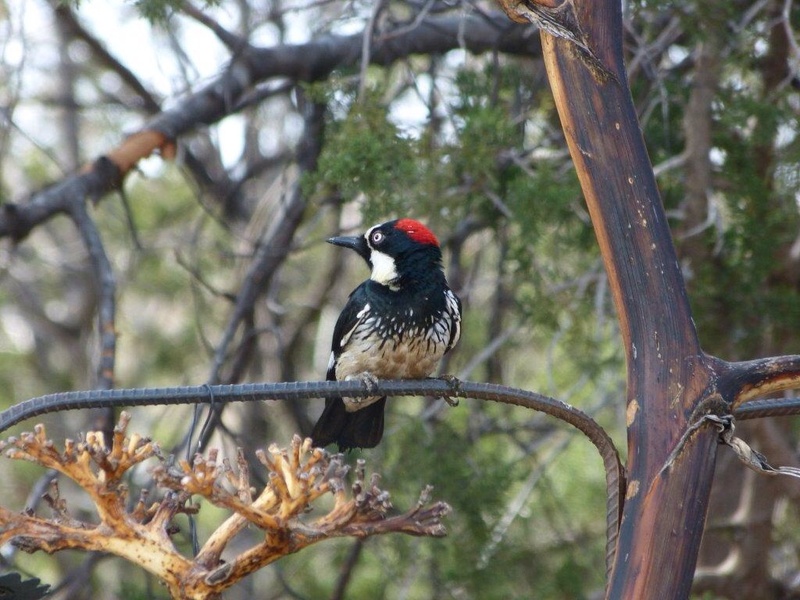 I enjoyed the picture of the acorn woodpecker. Sounds like you are having a great time – so glad that you are having a marvelous adventure! Thanks, Dot! It is proving to be a fun filled trip for both of us. I’ve never heard of an acorn woodpecker! How did you even know that’s what it was? Looks like a cool place. The park actually had a poster of the frequent visiting birds and identified each next to a visual. Basically a cheat sheet for beginning birders like Charlie and me. That’s a very handsome woodpecker! Nice picture, Charlie!